This mismatched, multicolored accent chest looks like an effortless piece of art. 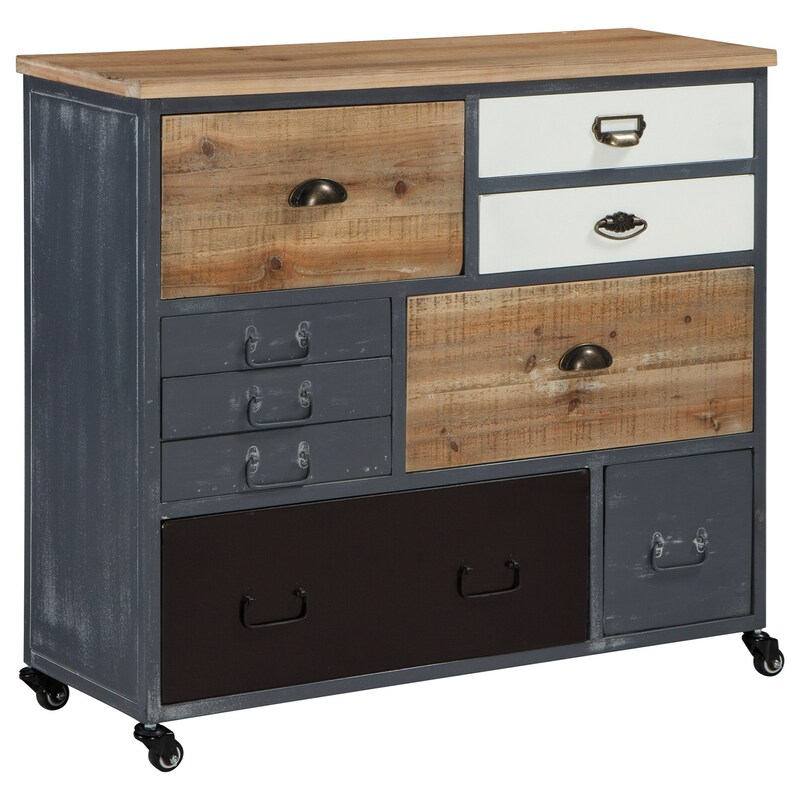 The variety of colors and materials used for the drawers give this piece both a vintage and industrial flair, and there is no shortage of storage space with nine drawers of varying sizes. The four caster wheels also allow you to easily place this chest wherever it looks best. The Ponder Ridge Relaxed Vintage Accent Cabinet by Signature Design by Ashley from Nashco Furniture - Nashville. We proudly serve the Nashville, Franklin, Brentwood, Clarksville, Green Hills, Davidson County, Williamson County, Tennessee area. Product availability may vary. Contact us for the most current availability on this product.